The Chaos Dragon Website has streamed a new Promo of the Anime. Now Based on the history. 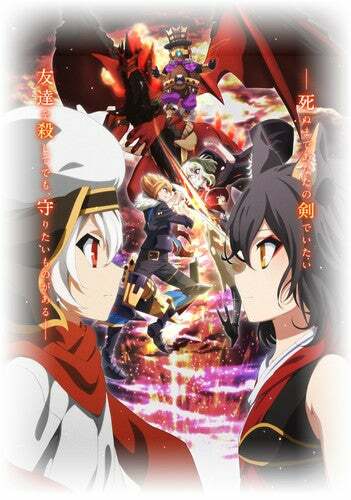 As you may know, Chaos Dragon was born after the RPG Sessions of 5 Anime Luminaries. The Anime will Air on July. Narrator and Text: Our country’s name is Nil Kamui. It’s a small country. The covetous ancient country Kōran suddenly attacked, and pillaged 30% of our land. A large allied country to the east named Donatia stayed silent and only protected its own bases. Nil Kamui was suddenly cut up and discarded like a sacrificial pig by two large countries. September 3015 of the sparkling era. Our country was no longer ours. Text: Surrounding that power, the decisive battle will start.